This project was undertaken at a private residential property in Benfleet, Essex. The Eucalyptus was overgrown and its crown was congested. The customer also wished for the surrounding shrubbery to be cleared. 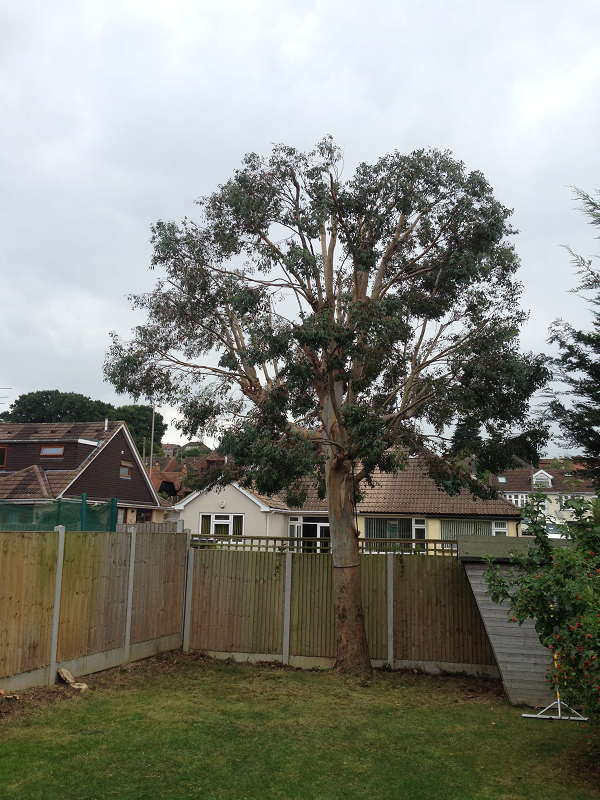 The Eucalyptus had a crown reduction, permitting better air circulation throughout canopy. 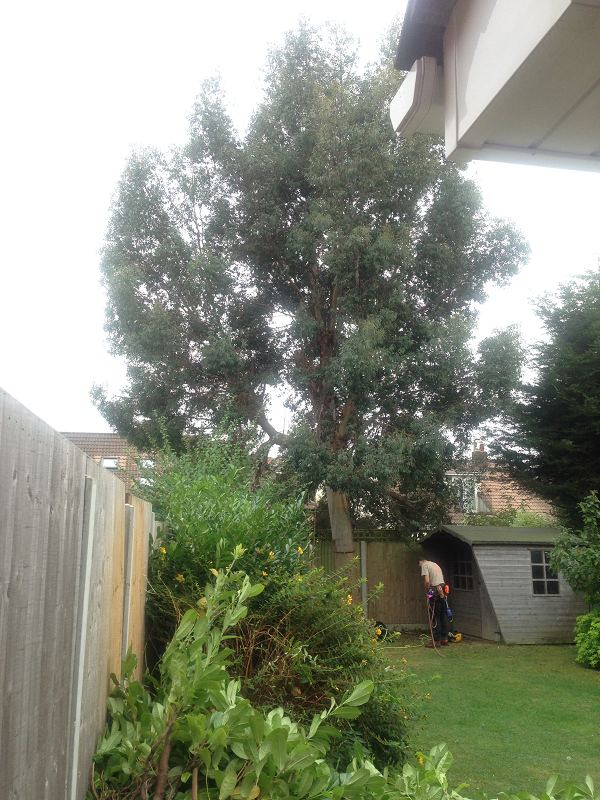 Whether it’s advice on a plant or tree problem, we can arrange a convenient time to discuss your requirements. The initial visit will be followed by a written specification and costing for the work to be carried out. Upon acceptance of this quotation, the works will be arranged to be carried out on a suitable date for you. Eucalyptus prior to reduction & shrubs before their removal. Whether it’s advice on a plant or tree problem, or your garden needs a complete transformation, we can arrange a convenient time to discuss your requirements. © 2019 Carringtons Tree Surgery. All Rights Reserved.